In the past ten years (give or take), interest in stand-up paddleboard racing has gone from barely a blip to what is beginning to resemble an increasing phenomenon. As paddle boarding itself has grown, the racing aspect has followed suit, with many competitions scattered across the country. In fact, the interest in SUP racing has grown so much that it’s become an international affair. While you will see competition in the expected places (Hawaii, California), it may surprise you that you will also find some great competitions in places such as: China, England, Spain, Denmark, Finland and even Germany, to name a few. It is that popular. The increased prize money also makes it evident that the sport is on the rise as many winners bring home in excess of five figures! So, with SUP racing becoming an international deal, obviously the build, make, model, and style of stand-up paddle boards would have to change. The lumbering hulks of the casual paddle boarder are not built to cut through the water with ease and speed. But these new racing paddleboards are built with only one thing in mind and that’s to go fast. Even the racing inflatables are built for speed. The increase in popularity, the climb in prize money and the overall fun of SUP racing has given the sport a wonderful selection of racing SUP’s. 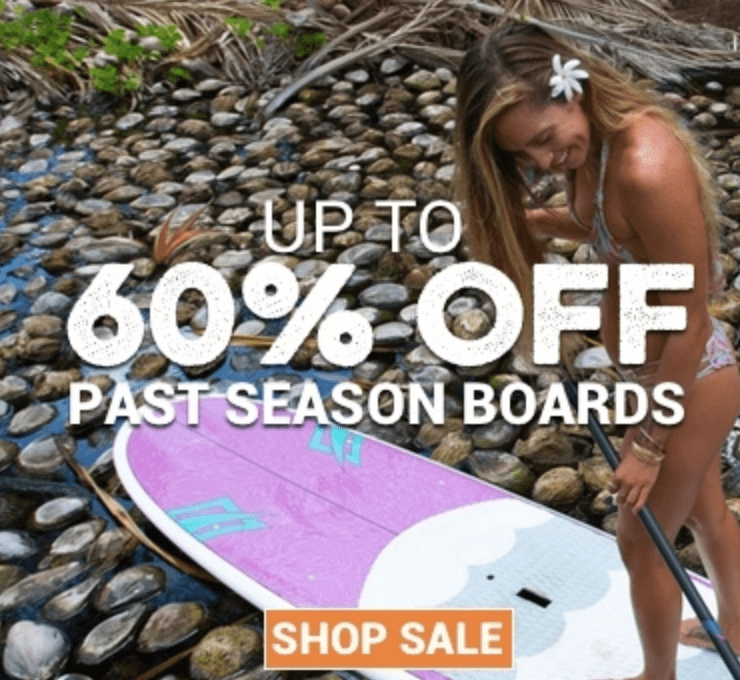 Better materials, better design, and competitive pricing all plays into the selection of racing paddleboards. But how does one choose a good racer? There are probably a few different answers when searching for the SUP racer that fits you best. First thing to note is that SUP racers are have a distinct shape to them. They have more of a pointy look to the when compared to regular, all-around SUP’s. The board sizes range from 12’6” to 14’ to unlimited. You will typically see men racing the 14’ and women on the 12’6”. The unlimited racers are mainly used for open-ocean racing. But no matter the size, the narrow build and displacement hull are what gives the racers their speed. They are able to glide longer, slice through choppy waters and track straighter. For the most part though, it all comes down to the rider’s preference and their technique. Another factor to consider on top of size and hull would be the tail of your racing SUP. Do you prefer speed or stability? A wider, stable tail will help with stability as well as buoy turns, depending on what type of race is being run. A smaller, pintail gives you that faster speed but also provides less stability. Your boards rails will also determine or influence the stability. Square rails provide more stability while the round rails add speed. Be sure when searching for your board to also make sure the deck pad length suits the board. You are going to want good traction along your racer so you won’t slip when walking back on it. With all these factors in mind, what are the better choices? On the higher end of the price spectrum is Boardworks Eradicator Race. 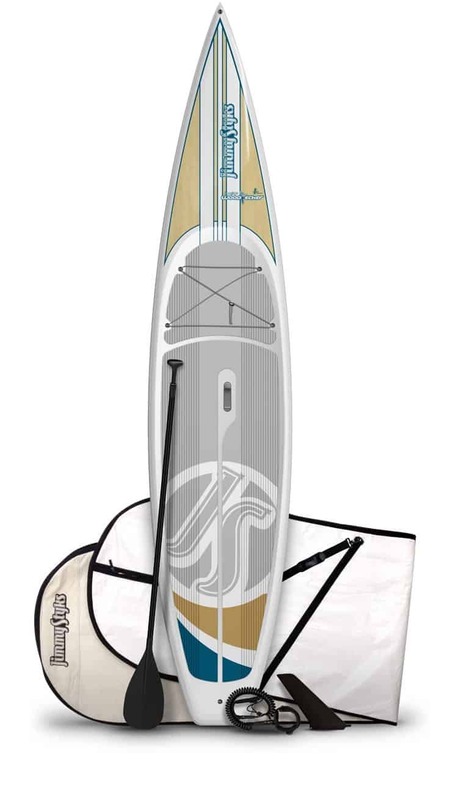 The elite design of this racing SUP makes this board ideal for experts and professional racers. Performance, stability, versatility and speed all get high marks on this board. It performs great in all conditions from the speedy glassy to the choppy messy stuff. While the price might not be in everyone’s wheelhouse, the construction and performance of the Eradicator Race make this board a must buy. Inflatable SUP’s have come a long way recently and Tower Paddle Boards’ iRace is a perfect example of just how far they’ve come. Tower’s SUP was built with one thing in mind and that would be to go fast. For a racer, they have most definitely accomplished that. The iRace’s body tapers at the front, allowing the rider to easily slice their way through the surface of the water. But going fast doesn’t mean a thing if your board isn’t stable. Well this inflatable is 30” wide and a hefty 6” thick. Confidence in stability should be high. 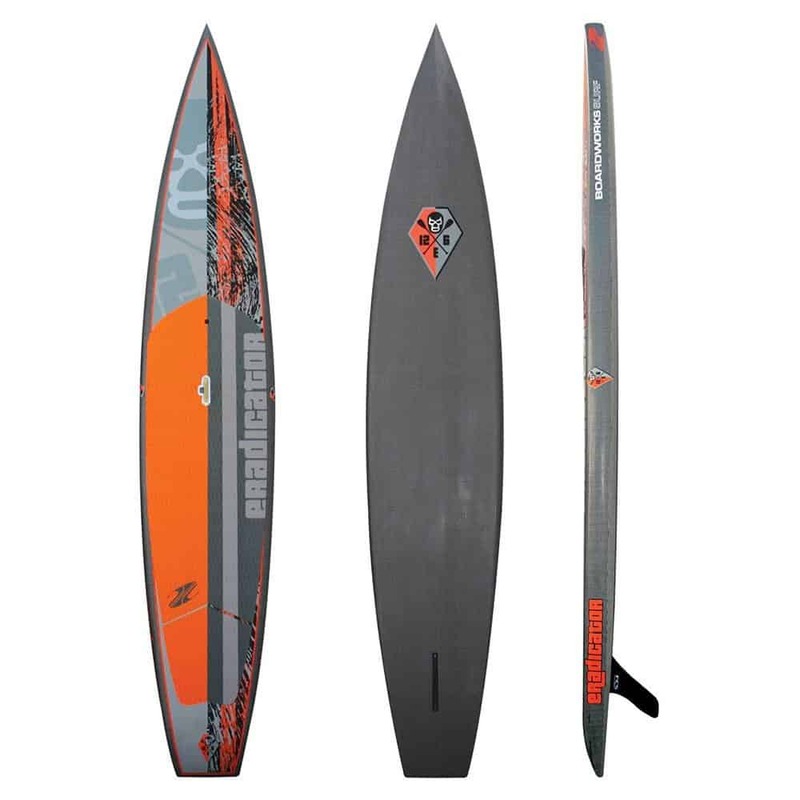 This is a well-built inflatable racing SUP and it won’t set you back in terms of price like some of the hard body racers. Another board, this one a hard body, that will get you from point A to point B in a hurry would be Jimmy Styks Woodpecker. This SUP gives you the feeling that you are racing in a kayak, it glides through the water so fast and smooth. In fact, the Woodpecker has the same curved bottom as a kayak. 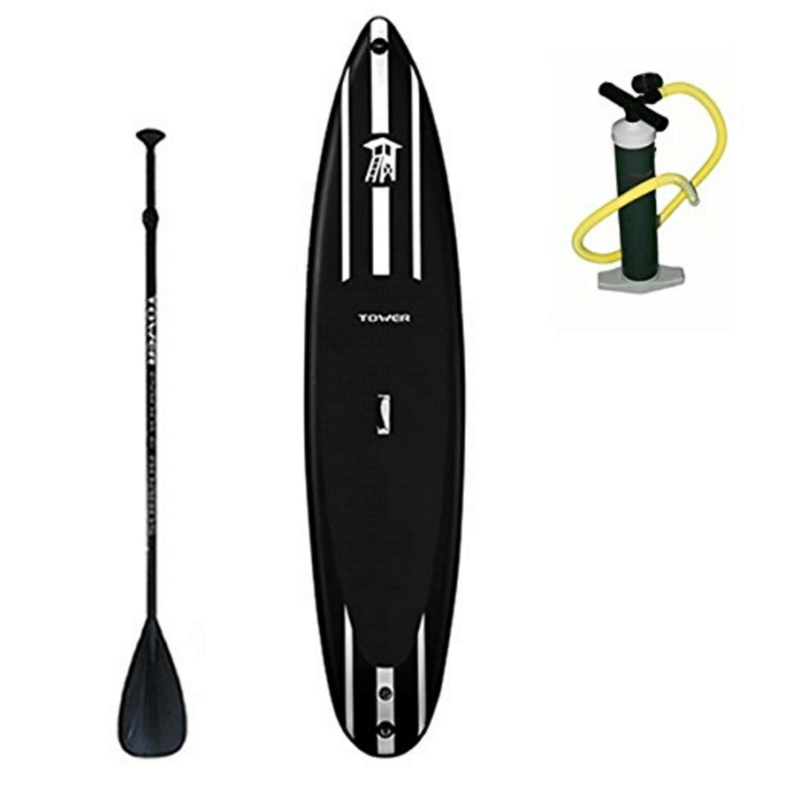 This board is definitely for those who are in a hurry, so experts and professional racers will be thrilled with this SUP racer. Besides going fast, the Woodpecker is built for maximum maneuverability. This is absolutely one quick board. There are obviously many more styles, makes and models of racing SUPs out there and personal preference and cost will steer your decision. But do your homework, know what type of racer you are and then go get the racer that’s built for you.